Thursday. Back to work today and it's just as well because it has been raining constantly this morning. I'm happy to have it rain when I am working. It's supposed to be like this for a few days too. It makes me feel much better about the fish that I caught yesterday. I want to dedicate this post to my bees - past and present. Even though I was stung in the head the other day, I'm willing to overlook that and show some significant appreciation for those little buggers. Looking back, over three years ago in the beginning weeks of my Survivor Diet, I was desperately craving something sweet. I just couldn't shake that feeling after so many days of bland, unseasoned food. I think Debbie may have had the idea to get a bee hive first after going somewhere or reading something about the decline of the bee population over the last several years. A backyard beekeeper. That sounded like a possibility. The goal - lots of honey. I did a lot of reading and investigation and I educated myself on the subject. Such fascinating creatures these little bees. Eventually I got my first hive box and set it up in the back yard with my first package of bees. It was a cool experience right from the start. I remember sitting out by the hive for long periods of time just watching them work. I like to think they were working for me but I could tell that there was some deep instinctual process at work within this organism of the hive. You really can't think of it as 'individual' bees doing their part. When you watch it for a while it looks like unorganized chaos. But when you see the end result and the honeycomb construction process it is just mind blowing. There is so much organization amongst the chaos - and without using any type of communication that humans can comprehend. The bees first make their geometrical perfect honeycomb cells and then use them to raise their young and store their food - honey. The one and only Queen Bee within every hive is also quite remarkable. I could fill pages on that subject alone. Suffice it to say that without the Queen, the hive would not survive. 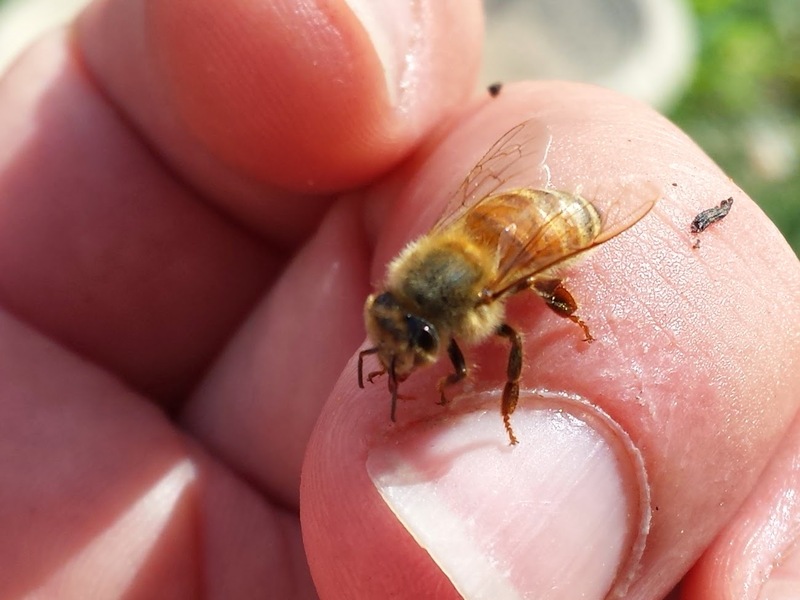 One special little bee, unique among tens of thousands of Workers and Drones. My first hive didn't survive very long. I suspect that the Queen died. With the help of a friend I added a new colony of bees which had a new queen. These bees did great. Very busy, very active. It inspired me in fact, to built a brand new hive out of wood - copying the design of the original hive. Jamie and I painted it to be more "bee friendly" and it would be ready for the following season to house another colony of bees. When winter came the bees went into hibernation mode. They all huddle together in the hive presumably surrounding and protecting the queen. Unfortunately this was the winter of Superstorm Sandy and my entire neighborhood was severely flooded. The hive did not survive. I was beginning to think myself a failure but the next season I started again from scratch. After getting a couple of new bee colonies (from the Bee Hive Barn in Cranberry, NJ) the new hives were populated. And boy did they take off! These bees were highly active and were thriving throughout the entire summer. In fact, these bees made a lot of honey and I was able to collect some mid-summer. 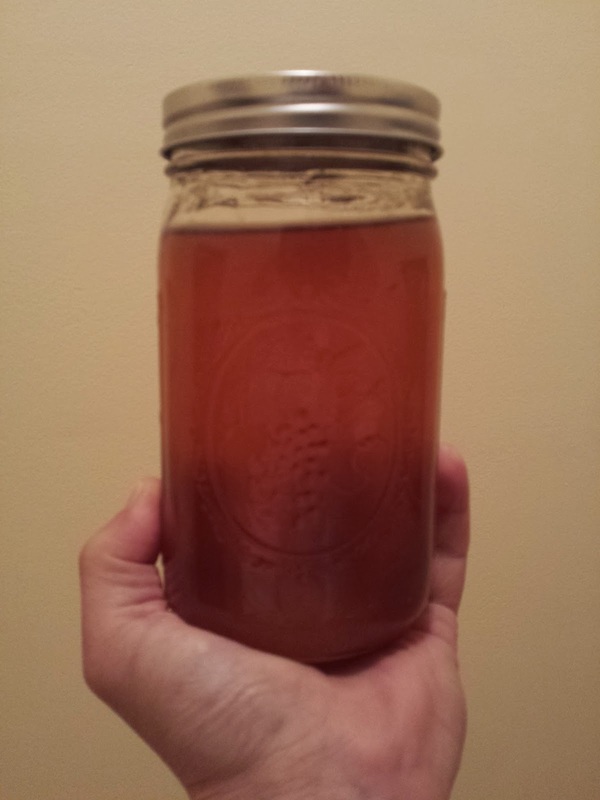 I got 5 nice sized jars of honey from only a few bars of honeycomb from both hives. There was still plenty of honey left and plenty of time for them to make enough to hold them over during the winter. Well, this past winter was a harsh one. There were no floods but there was a lot of snowfall and a lot of cold days and nights. At the end of the winter, one weekend it got really nice out - so nice in fact that the bees all awakened from their slumber. In one day there were thousands of bees buzzing about the hives like it was springtime already. However, there were no flowers yet. Nothing for them to do. The very next day a cold front came back in and it snowed and snowed and snowed. It was more than the bees could handle and almost overnight the entire population of both hives died. I attributed this tragedy to the drastic swings in temperature but the truth is that I really don't know what happened. I thought it was possible that the bees ran out of honey but after cleaning out the hives I noticed that there was plenty of honey still remaining within the hives. It will remain a mystery but the fact still remains that I have managed to kill 4 colonies of bees already. Not a good feeling. 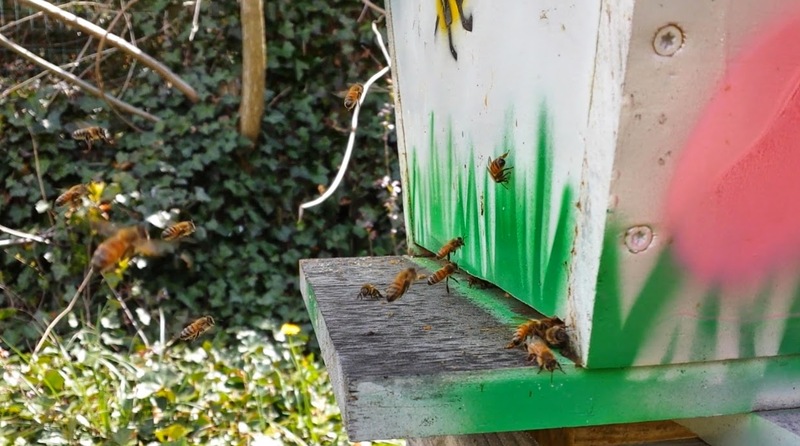 Instead of quitting, I decided that I would continue to try to be a good bee guardian (that's what we call ourselves) and get back on the horse by going back to the Bee Hive Barn in April and getting a new colony. This time I would just get one and see if I could make it through at least one winter. If successful, I will populate the other hive the following season. Besides, I need to do a little construction work on the roof of the empty hive. I'd rather do that when there are no bees in it. Currently I have a thriving colony of bees in my homemade hive and I have a little over 1 large jar of honey remaining from last summer's collection. If I can get through this Survivor Diet with this supply of honey then I will probably not collect any honey from these bees until next season. They need to store a lot for themselves for the winter and the first season of any new hive should be a building year. I am very grateful for the bees (past and present) that have supplied me with the honey that I have been using in this year's Survivor Diet. Without it I would really be struggling. And with it I have constructed some amazingly delicious dishes. I do not have a sweet craving this year and I have a feeling that eating a little bit of honey on a regular basis has given me more health benefits that I even know. Honey is a truly amazing food - all natural, never goes bad, helps resist seasonal allergies, and delicious in so many preparations. Beats white sugar in many categories and I am very happy to have it.